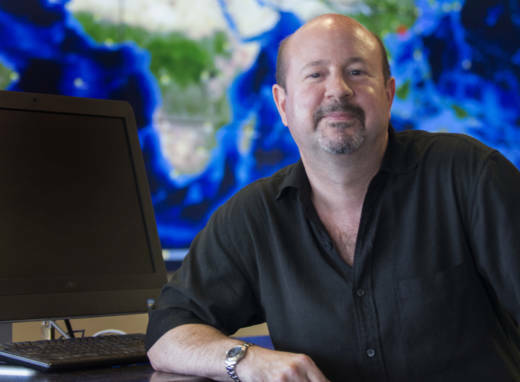 Michael Mann, creator of 'hockey stick' curve for greenhouse gases, says we now have to double sea rise projections. Even as negotiators wind up another round of climate talks in Germany this week, there is little evidence that leaders are reining in global greenhouse gas emissions enough to avoid warming Earth by more than 2 degrees Celsius (3.6 degrees Fahrenheit) — that's the threshold at which scientists say we can avoid the worst impacts of climate change. In fact, the concentration of carbon dioxide in the atmosphere averaged more than 410 parts per million in April, for the first time since scientists have been tracking it. KQED Science Editor Craig Miller sat down recently with Michael Mann, who directs the Earth System Science Center at Penn State University, to assess where things stand. 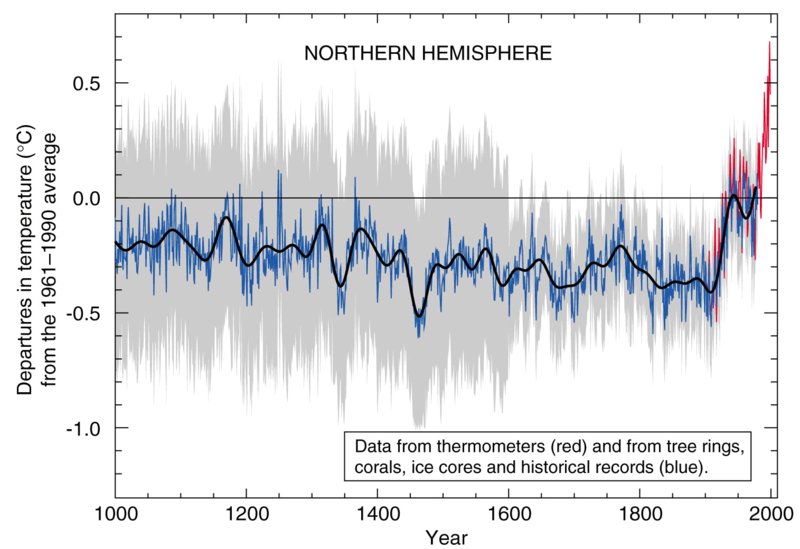 Mann’s major claim to fame is the hockey stick. Not the Wayne Gretzky kind, but the data plot that came to be known as the “hockey stick curve.” Al Gore used it in his "Inconvenient Truth" documentary to show the sharp upward trend in temperatures since the start of the industrial age. Miller: Given what we know now that maybe we didn't know or weren't as certain of even five years ago, are you more concerned or less concerned than you were then? Mann: I'm more concerned. Over the last several years, we've learned that there are processes that are now playing out that we didn't have in our models in our early projections that are causing the ice sheets to lose ice faster than we expected, earlier than we expected, that's leading to more sea level rise than we expected. Just within the last year, even since the last report of the Intergovernmental Panel on Climate Change, we've now learned that the west Antarctic ice sheet may lose twice as much ice by the end of this century as we thought previously. We now have to double the sea level rise projections. Previously, the upper end of the range that you typically heard — by the end of the century maybe three feet of sea level rise — we now think we could see more than six feet of sea level rise. And far more than that, if we don't act, ultimately, if we lose the west Antarctic ice sheet and the Greenland ice sheet, which we'll do if we burn all of the available fossil fuels. Then we're talking 80, 100 feet of sea level rise. We're not quite in "Waterworld" but headed in that direction. CM: What happens in the polar regions doesn't stay in the polar regions. We didn't understand, five years ago, that the melting of the Arctic sea ice and the change in the pattern of warming in the poles that that causes might change the jet stream in the way that it appears to be doing. For California, it's a disastrous impact because it's causing the jet stream to sort of veer north and deny California of all of that rainfall and snowfall that it depends on for water supply in the water. Hotter summers, more evaporation. The jet stream is steering north of California, denying the state the precipitation that it needs, and then that same jet stream comes crashing down in the east, giving us very unusual, if brief, episodes of cold. 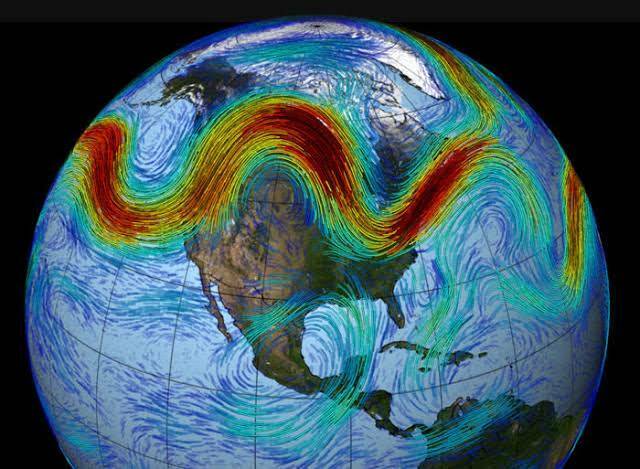 We're just starting to understand the subtle physics of why it is that climate change may be causing the jet stream to behave in this wacky way, and it's not a good surprise. It's a bad surprise. CM: And the president's response to that is, "Hey, it's really cold here. We could use a little bit of global warming." How much do you think this current administration has set back the cause of awareness of climate science? MM: It's really unprecedented. What's most worrying to me isn't what Donald Trump tweets about climate change, but what his administration is doing to set back our efforts. It's dismantling protections — the Clean Power Plan that the Obama administration put in place, that helps us achieve the sorts of reductions in carbon emissions that we have committed to in the Paris agreement — backing out of the Paris agreement, and taking away incentives for renewable energy. I mean pretty much doing everything that polluting interests want him to do to ensure that we double down in fossil fuels rather than join the rest of the world, and move on toward the great revolution, the economic revolution of the next century: renewable energy. CM: At this point there is so much warming in the pipeline, so to speak, how can you be optimistic that we can make any difference with any kind of policy? MM: Well, sometimes there's a danger that when we hold a number up like 405 parts per million, or 2 degrees Celsius warming, it makes it sound like there's some cliff that we fall off and there's no going back. And the way I prefer to think of it is rather than a cliff that we go off, it's like a minefield that we're walking out onto, and the farther we walk out onto that minefield, the more of those mines we're going to set off. We don't know exactly where they are, but we know they're out there, and we know that the only safe thing is to stop marching headlong into that minefield. CM: Let me just ask you about California's efforts, bucking the trend at the federal level of doing either nothing or actually reversing progress. It's been said that California's about 1 percent of global emissions, that it can't really move the needle no matter what it does. You agree with that? MM: I don't. I do see California as a great shining beacon. It isn't just the emissions reductions that it is achieving itself. It's the message it's sending to the world, and it is the credibility that it gives policymakers when they say that this can be done. They can point to California. CM: You've paid a high personal price for all of your efforts toward communicating climate science. Can you just run down a list of some of the things that have happened to you as a result of your work? MM: I didn't realize that I would be hauled into a hostile congressional hearing, be attacked on the editorial pages of The Wall Street Journal, have police come to my office to investigate a white substance that I had received in the mail, dealing with death threats against me, thinly veiled threats against my family. Certainly not what you think you're signing up for when you, as I did, study science at UC Berkeley. You go into the field of science and when that science comes into conflict with certain vested interests — in this case, the science of climate change perceived by some fossil fuel interests as a threat to their bottom line — in some cases, they have decided to sort of wage this war against the science. And often it takes the form of personal attacks against the scientists themselves. CM: What made you decide not to lay low? Because that had to be a tough call. MM: It was. I think frankly, it was a matter just of personality and temperament. I wasn't a big kid when I was in elementary school but I always stood up to bullies and I always fought back, even if I was likely to get beat up, because it was the right thing to do. You don't back off from a worthy battle when the stakes are important. And in this case, what could be more important than the battle to preserve this planet for future generations?